by Emily Washington • Small business owners with 50 or fewer employees are not signing up for SHOP and brokers report little interest from the demographic. by John Morabito • It’s important to understand the client’s needs and develop a program that meets their business goals while helping participants achieve retirement readiness. by Bill Chase • There are small, but significant improvements in accessibility to children’s dental care. But we will have to address the looming public health crisis of adult oral health. by Lincoln Dirks • It is imperative to manage intermittent leave properly to make sure that your clients provide employees the leave entitlement under the FMLA. It also protects against potential fines, audits, and other legal action. by W. Harold Petersen, RHU, DFP • There has never been a better time to be in the disability insurance industry. The demand is apparent and we are in need of more suppliers. 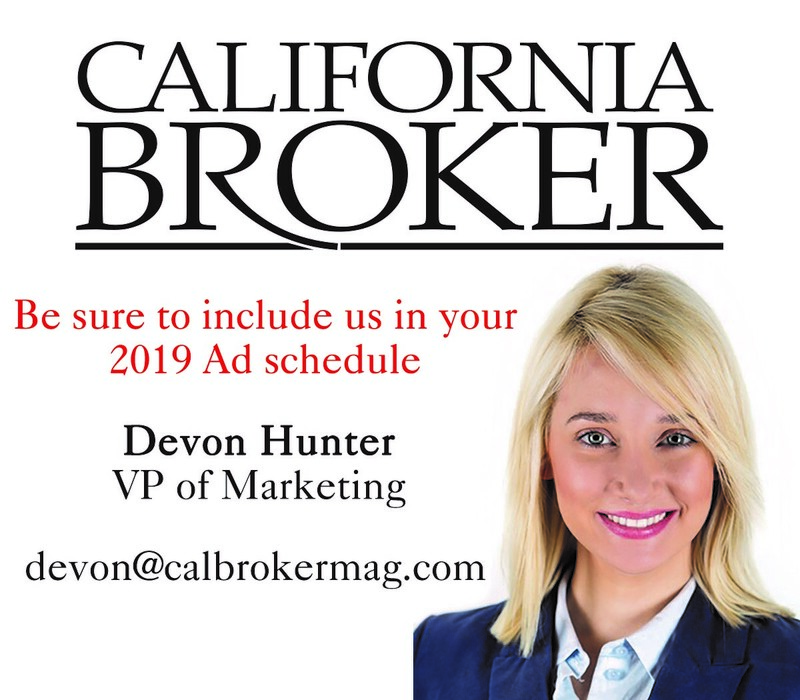 by Chris Carlson, CLU, CFC • A perfect storm is creating the most phenomenal marketing opportunity the disability insurance industry has ever seen. by Jason T. Andrew, CEO • There are about 17 million enrollees in HSA plans, according to most reports. At the same time, HSA literacy among enrollees is extremely low. by Randy Boss • As costs go up, employers shift the costs to employees. This strategy is used by many employers and promoted by most benefit agents and brokers. by Leila Morris • Two factors will determine private exchanges’ success: whether employers see sustainable cost savings and whether exchanges enhance the customer experience. As retail becomes a prevalent model for purchasing insurance, the health sector will need to evolve as well. by Joseph Berardo Jr. • With healthcare costs continuing to grow, it’s time for brokers to revisit self-insurance as a way to provide the employers they serve with value and greater control over their plans – offering those employers some timely strategic guidance in today’s complex healthcare marketplace. by Brian Greenberg • Life insurance industry innovations, trends and pitfalls in the New Year. One of the very groups that the Affordable Care Act was designed to help – small business owners with 50 or fewer employees – is not signing up for the Small Business Health Options Program (SHOP) at the rate expected, the Washington Post recently reported. SHOP’s portion of HealthCare.gov received about 200,000 visits during the first week of this round of open enrollment (versus 1.5 million visits to the individual part of the site), and brokers say they’ve seen little interest from that demographic, said the report. Brokers who are supposed to help SHOP participants choose plans are also running into problems accessing their accounts. SHOP is supposed to work by allowing small business owners to pool resources in a marketplace so payers will offer insurance at the rates of larger businesses. While SHOP hasn’t gained steam as quickly as anticipated, insurance payers still need to be on alert if and when business owners start signing up in droves. It’s critical that they accurately track membership profiles for reconciliation later, the moment new buyers come on board. Instituting automated reconciliation controls helps ensure that payers have accurate membership data during every step of enrollment. These controls let organizations easily and continually track estimated payment details and compare them with actual payments as they come in. Controls that include a dashboard give clear visibility into anticipated payment collections versus what’s actually received. Having such a thorough system of controls in place helps organizations identify and resolve any potential issues before they become a real problem. You’ll know you can trust your data at every point of the membership process. While the number of small business owners signing up for SHOP may so far be a trickle, make sure you’re ready if and when the tide comes in. Controls will keep your membership data accurate as each new wave arrives. Emily Washington is director of Business Operations for Infogix. Washington, who joined Infogix in 2003, leads the product management team. She is responsible for taking Infogix products to market and creating product and solution road maps — most recently with focus on healthcare solutions addressing key ACA requirements. Before coming to Infogix, she held customer support roles for Cyborg Systems and Respond.com in Silicon Valley. She has a Bachelor of Arts in English from San Jose State Univ. or supplemental deferred-compensation 457 plans. In 1985, 90% of Fortune 500 companies offered traditional defined benefit plans compared to under 10% in 2012. At the same time, defined compensation plans have grown from under 10% in 1985 to nearly 80% in 2012, according to a Towers Perrin survey. With a defined benefit or pension plan, an employer promises to pay employees a specific benefit for life beginning at the time of retirement. This benefit is calculated, in advance, based on age, earnings, and years of service. Employers manage the plan on behalf of participants, and must ensure that adequate funding is available for these benefits. These plans provide a predictable benefit to employees and contributions are generally made by the employer. The disadvantages include volatility and unpredictability of cash contributions and accounting expenses. There are also administrative burdens due to the complexity of applicable laws and regulations. There may also be uncertain obligations due to longevity and market risks. Pension plans have the power to lower a company’s share price and undermine growth plans. A decline in market assets can lead to higher levels of underfunding, which is the chief factor affecting the management of defined benefit plans. Changes to inflation and interest rates can increase plan liabilities, and longevity can lead to higher-than-expected payout obligations. With these plans, participants make investment elections and fund contributions, along with optional employer matching contributions. These plans provide an immediate, portable benefit to a workforce that is beginning to skew younger and is far more mobile than were previous generations. Defined contribution plans offer predictable costs, eliminating unfunded liabilities. Employers can add or drop a matching contribution or adjust eligibility rules. Defined compensation plans have also reduced administrative and regulatory burdens. The investment risk shifts from the employer to the employee as participants assume responsibility for making their own investment decisions. Some disadvantages include a higher cost to employees for funding the plan, in whole or in part, and administrative fees assumed by plan participants. These plans benefit employees who change jobs more frequently throughout their career versus public employees who have been compensated for their long service through pension benefits. • The effect of the conversion. Before a successful conversion can be made, consultants, brokers, and advisors must fully understand and communicate the advantages and challenges that each savings vehicle provides to their clients. Once a client has decided to convert to a defined compensation plan is made, they should understand their options. Unless a client’s current defined benefit plan can be terminated, the employer will bear the cost of administering two plans for current and future employees and their beneficiaries. At the point of conversion, plan sponsors may decide to freeze their current defined benefit plan and continue funding all benefit obligations until they are satisfied – after which the plan may be terminated. • Prepare participants for the change – It is critical to offer simple, clear, and timely communications that emphasize the positive aspects of a conversion and potential participant considerations. Communicate the conversion early, and provide a time line of deliverables to keep participants engaged in the process. • Provide an option through the transition: Help clients structure a hybrid plan that potentially preserves participants’ economic benefit for some period. A cash balance or defined benefit/defined compensation plan structure may help make the transition less challenging. • Focus on education and resources for saving: With any transition, options may be confusing to participants, especially now that they need to manage savings and assets on their own. Provide financial education and resources including one-on-one support from a financial professional. Retirement confidence increases with access to guidance from a financial professional, such as a retirement consultant, according to a Lincoln Financial Group participant satisfaction survey. Thirty-five percent of plan participants with access to a retirement consultant are confident that they will have enough money in retirement, as opposed to the 19% of plan participants without access to a retirement consultant. • Enroll: Encourage participants to enroll as soon as it’s available. Participating in a defined compensation plan can help reduce taxable income and build savings. • Save at least up to the company match: Many employers match contributions up to a certain percentage. Encourage participants to save at least up to the match and increase contributions rates along the way. • Make more, save more: As participants grow in their careers and make more money, encourage them to contribute more to their plan and save any income boosts like a bonus towards retirement savings. Once savers hit the maximum contribution level, a financial professional can help them find the right place to put additional savings. • Schedule a retirement plan check-up: Encourage participants to meet with a financial professional when they enroll and then at least once a year for a plan check-up to make sure investment and asset allocations are in line with savings goals. • Keep saving: There may be times when participants are tempted to borrow against their plan or take out assets if unexpected expenses arise. Encourage them to resist the temptation and remain invested so they avoid missing out on potential market gains. Regardless of the retirement plan offering, it’s important to understand the client’s needs and develop a program that meets their business goals while helping participants achieve retirement readiness. John Morabito is senior vice president and head of Institutional Retirement Solutions Distribution for the Lincoln Retirement Plan Services business. Morabito leads efforts to grow Lincoln’s full service Retirement Plan Services offerings for corporate and nonprofit/tax exempt plan sponsors. Morabito brings close to 30 years of experience in the retirement space. Before joining Lincoln, Morabito spent six years at Prudential Financial where he served as senior vice president of U.S. Full Service Distribution. Earlier in his career, Morabito served as national director of Retirement and Savings for MetLife’s Institutional Retirement Business. Before that, he was director of Institutional Investments for New York Life Asset Management. Morabito earned a bachelor’s degree in economics from the State University of New York at Oneonta. He is a Registered Principal and holds FINRA Series 6 and 63 licenses. Lincoln Financial Group is the marketing name for Lincoln National Corporation and its affiliates. Will Americans be smiling about our nation’s dental health status by the end of 2015? All indications point to small but significant improvements in accessibility to children’s dental care. But we will have to address the looming public health crisis of adult oral health. One in four Americans over 65 has lost all of their natural teeth due to decay and lack of access to affordable treatment, according to the American Dental Assn. This situation will not improve unless we can find ways to make dental care more affordable and accessible to all Americans. As the importance of regular, preventative dental care increases, I am optimistic that providing greater affordable access to dental services will become a national priority. Perhaps this won’t happen in 2015, but I do believe it will and must happen soon. • New ways to pay: Dental savings plans, medical tourism, and health care loans and credits will be in the news this year as people look for alternative ways to fill the gaps in programs such as Medicare and traditional insurance coverage. • Dental education loans: While cost continues to be a primary barrier to dental care for many Americans, access to dentists has also become an issue especially in rural communities. The nation could manage this growing crisis by offering funding for dental education, which could be paid back with a year or two of service in a rural area or public dental clinic. • Dentures on demand: 3-D printing technologies, already in use to create customized medical devices such as hearing aids, will be used to print dental prosthetics. The immediate benefit will be more comfortable, better fitting dentures. Cost savings will soon follow as dentists buy 3-D printers for their offices. • A new role for hygienists: There will be discussion around the benefits of dental hygienists performing routine procedures, such as filling cavities, freeing the dentist to focus on providing advanced treatments. This should make basic preventative care more affordable, and allow dentists to help more people with health-threatening dental issues. • Dental spas: Why not combine dental care with other wellness treatments? Imagine following up a dental cleaning and checkup with a manicure and massage. Bill Chase is vice president of marketing for DentalPlans. DentalPlans, founded in 1999, is the largest dental savings plan marketplace in the U.S., offering consumers access to 40+ dental savings plans from trusted healthcare brands, like Aetna, Careington, Signature Wellness, and UNI-CARE. Plan members have access to more than 100,000 dentists nationwide. DentalPlans, which has been included in the INC. 5,000 list for 2011 to 2013, is committed to making access to quality oral healthcare affordable and available to everyone. Visit www.dentalplans.com or www.facebook.com/dentalplans. Call 804-402-5316. Discerning Disability Trends – Experts explain why there has never been a better time to be in the disability industry. In some instances, employees can take leave under the Family and Medical Leave Act (FMLA) in separate blocks of time for a single qualifying family or medical issue. This type of leave, known as “intermittent leave,” can be a challenge for your clients to manage. It is imperative to manage intermittent leave properly to make sure that your clients provide employees the leave entitlement provided by the FMLA. It also protects against potential fines, audits, and other legal action an employer could face as a result of denying an employee’s request or not administering the leave properly. For foreseeable leaves employees must provide 30 days’ notice (e.g., a scheduled surgery, medical appointments). For unforeseen leaves employees must provide documentation as soon as practical. (e.g., an emergency surgery, unexpected medical treatment due to an accident or severe illness). Employers can require employees to comply with their call-in procedures; this can be a great way to determine if a leave qualifies under FMLA. When employees call in, employers should request sufficient facts including, when the leave is to begin and when the employee expects to return to work. For a medical condition, questions may also include duties the employee is unable to perform and whether they have consulted with a physician for plan to. Tracking leave accurately will help make sure that employers only provide the amount of leave their employees are entitled to. Accurate tracking can also help identify patterns indicative of misuse. Employers may require employees to provide a medical certification form to determine whether the medical condition qualifies for FMLA leave. Employees generally have 15 days to provide completed certifications. Once an employer gets the certification, it’s a good idea to make sure that it includes the necessary information. If it’s incomplete, employers must give the employee an opportunity to correct it. Employers should require employees to get the missing information or clarification to vague responses from their health care providers. Employers can generally request recertification. This recertification can determine whether FMLA leave should be extended or if a significant change in an employee’s leave is due to a supported change in the medical condition. This can be done no more often than every 30 days. However, if the initial certification indicates that the condition will last longer, employers can request recertification after the stated duration expires or every six months (whichever comes sooner). Employers also can request recertification in less than 30 days if the employee requests an extension of their original leave), the employees circumstances have changed significantly from the original request (frequency and duration of the absences, complications, etc. ), or if the employer receives information that casts doubt on the reason for the leave. An employer can require an employee to get a second medical opinion if the validity of the certification is in question. If the first and second opinions differ, a third opinion may be required. The third provider’s opinion is final and binding. Lincoln Dirks, a senior compliance analyst for absence management, has been with Standard Insurance Company since November of 2001. Lincoln received his Bachelor of Science degree in business administration from Portland State University, and his Juris Doctor degree from the University of Oregon School Of Law. He also holds the following professional designations: Certified Employee Benefit Specialist; Fellow, Life Management Institute; Fellow, Life and Health Claims. The Standard is a marketing name for StanCorp Financial Group. The Market: According to the last count from the U.S. Census Bureau, the population of the United States is 308,745,538 and growing. It is estimated that 188 million of those people are income earners. Only 27% of these income earners have any form of disability income protection other than what is provided by Social Security, according to the Life Insurance Marketing Research Association (LIMRA). Additionally, based on a survey by a major insurance company, the vast majority of those with disability income protection are inadequately insured. That means 137,240,000 American income-earners have a need for more disability insurance. insurance professionals that delivering a disability benefit check provides great satisfaction, plus a likely plethora of referrals from a grateful client. Today’s disability market environment is strong and liberal. Insurers are making profits with their disability insurance, and they want to grow their businesses, which results in excellent products, attractive rates, and most importantly, streamlined underwriting processes. In short, there has never been a better time to be in the business of prescribing disability insurance. The very strong renewal commissions that disability insurance yields do not take very many years to develop into a substantial cash flow for a producer. Disability insurance also provides a foundation to clients’ personal or business financial plans. Chart 1 illustrates commission yield from one $3,000 premium over a decade: Disability insurance pays a 50% first-year commission and 10% renewals while life insurance pays 80% first-year commission and no renewals. While life insurance attracts producers with high initial commission rates, disability insurance promises the longevity of renewal rates. In this example, the disability insurance commission surpasses the life insurance commission at year four and still has many years of renewals ahead. Chart 2 shows annual commissions for selling one of each policy type every week. As you can see, disability insurance surpasses life insurance by year four. While life commissions stay level, disability commissions continue to rise, resulting in a far greater income. Largely due to the uncertainty of the new health care law, medical insurance agents are facing diminishing sales. Add to that the decreased commissions resulting from the new medical loss ratio mandate and these agents’ incomes are suffering. Life insurance commissions are also shrinking while disability insurance compensation remains steady. There has never been a better time in the history of the product to be in the disability insurance industry. The demand is apparent and we are in need of more suppliers. The recognition that people have disability needs at advanced ages has pushed expansion of the market. People are working longer because their retirement plans have fallen short of expectations. Many who have retired are re-entering the work force out of necessity. Benefit periods are now pushing retirement ages up to 67 or 70 years of age and issue ages now go to age 70 and higher. An evolution of the DI industry is dawning. It has new and enlarged capabilities due to greatly enhanced issue and participation limits, which are now capable of providing benefits in excess of $100,000 per month per person and coverage for $100 million agreements. Advancements in underwriting processes of guaranteed issue disability insurance plans for multi-life cases, online applications and electronic policy delivery all point out great reasons to make disability insurance sales part of your daily routine. W. Harold Petersen, RHU, DFP is founder of the International DI Society and chairperson of Petersen International Underwriters. He is recognized as an expert in underwriting development and policy innovation in the expanding field of disability financial planning. 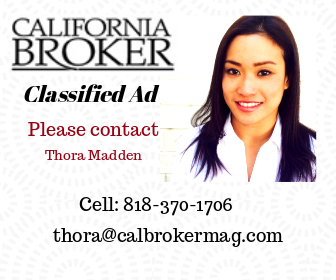 He can be reached at Petersen International Underwriters, 23929 Valencia Boulevard, 2nd Floor, Valencia, CA 91355. Telephone 800-345-8816. Email: whp@piu.org. We are in the midst of a perfect storm when it comes to the selling and marketing of income protection products. But instead of all the negativity of years gone by, this perfect storm is creating the most phenomenal marketing opportunity the disability insurance industry has ever seen. I believe there has never been a better time to be selling disability insurance and I want to share with you the five factors that are causing this perfect storm. The first factor contributing to this perfect storm is the fact that there are unlimited prospects for any producer. There are millions of people who need individual disability insurance. The Council for Disability Awareness has reported that there are approximately 150 million workers in the United States. Only 50 million of them are covered by some form of private disability insurance. Of that 50 million, only 10 million people have individual disability insurance. These numbers, alone, should excite agents and advisors to get serious about selling income protection products. In addition to these raw numbers, some factors in our economy will continue to increase the prospects for individual disability insurance. Since employers are downsizing and rightsizing, many workers are out of corporate America and starting their own businesses. When they exit the corporate world, they leave their employee benefit package behind. These newer business owners have lots of insurance needs, not the least of which is disability insurance. Many of them are also great candidates for business overhead expense insurance. A brand new class of entrepreneurs has emerged to take advantage of the incredible advances in technology. A single individual can create a huge business without brick and mortar and a ton of employees. These entrepreneurs are creating a wealth of prospects for disability insurance. With the ever-rising cost of group medical insurance, along with the uncertainty of health care reform and legislation, employers are shifting many of the traditional responsibilities and costs of benefits to their employees. With fewer companies offering employer paid group LTD, another group of prospects for income protection has been created. All of these people we are discussing are not being talked to regarding the need to protect their income. This is creating the ultimate opportunity for you to step up as a disability insurance expert and sell a countless amount of disability insurance policies. The second factor contributing to this perfect storm is the fact that there is almost no competition for producers in the disability insurance market. There are fewer producers selling disability insurance than any time in the last 40 years. Let’s talk about the reasons why. There are fewer career agencies in the industry. Many companies have chosen to abandon their career distribution system in favor of the PPGA or brokerage model. This switch obviously results in fewer agents being recruited into this great industry. With no career agents, you don’t need managers and trainers. In years gone by, these managers and trainers were key motivators in helping agents actually talk to their clients about income protection products. So we have lost a level of coaches and cheerleaders that were critical to the success of our industry. 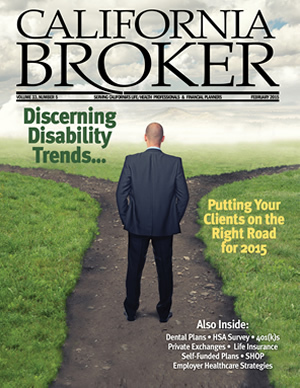 Agents who grew up selling disability insurance are at, or nearing, retirement. Many of these agents have watched their clientele also age, so these agents are more focused on retirement needs of their clients than they are on bringing on younger clients who need disability insurance. Combine this with the fact that we are bringing fewer agents into the business and you can see why there is no competition. Fewer insurance companies are manufacturing their own products. As a result, fewer marketing reps are promoting disability insurance. The big three; Provident, Paul Revere, and Unum are now one company. They have dramatically decreased their emphasis on individual disability insurance products. As a result, those brokerage managers and brokerage reps are no longer on the street promoting and assisting in the sale of individual disability insurance products. 1. They were not trained on it when they came into the business. 2. Their company does not have a proprietary product. 3. They have no veteran agents to mentor them in this product. 4. A limited number of brokerage people are talking about the product. The third factor contributing to this perfect storm is that we have great products to offer our clients. There are products available from carriers that are as good, if not better, than in the glory days of disability insurance. Many veteran producers grew up in the era in which everybody was talking about non-can and own occ. It seemed that all that we used to talk about was own occ. Well, today, carriers are offering non-can and own occ policies to all kinds of occupational classes, to include those in medical specialties. So if that is what you want to sell, you can sell it. Equally exciting are the options that allow you to build a policy that is right for your client that can take the premium to a level that it eliminates the, “It costs too much” objection. We were in a period, 10 years ago or so, in which the carriers limited the amount of individual coverage they would issue as a stand-alone basis or in combination with group LTD. Today, those issue limits are exceeding the issue limits of 20 years ago. The ability to sell additional coverage to somebody who already believes in the need for disability insurance creates great sales opportunities. Each disability insurance carrier has those occupational classes that they covet. For those, they have made the premiums incredibly attractive. Not only are the base rates fantastic, but there are also multi-policy discounts, multi-life discounts, and association discounts to name a few. Price should not be an obstacle to selling more disability insurance. The disability insurance industry continues to be innovative in terms of the changing needs of your clients. We are seeing riders and products that address such needs as benefits for a catastrophic disability, benefits to fund a retirement plan and key person disability insurance. The fourth factor contributing to this perfect storm is the unbelievable compensation that is paid for selling income protection products. Not only do income protection products pay good first year commissions, but also the renewals are phenomenal. I have talked to many a veteran disability insurance producer who still marvels at the commission checks that come every month from the disability insurance carriers. I recently had a major disability insurance carrier run a 20-year income projection assuming a producer did just one disability insurance app per week (average premium of $2,000 a year). The total income over that 20-year period was over $6 million! I challenge you to find another product in the financial services industry that can come close to those numbers. When you combine the fact that there is virtually zero service work required for a disability insurance policy, disability insurance is arguably the most profitable product you can sell. The fifth factor contributing to this perfect storm is the huge wave of millennials that are entering the work force. Our economy has never before seen a buying group this large. The Millennials are 100 million strong and dwarf the 80 million Baby Boomers that contributed to so much of the success the disability insurance industry had in the past. Studies have shown that the Millennials do appreciate and recognize the need to protect their incomes. Since most millennials will have several careers (not jobs, careers) in their working lifetime, a portable individual disability insurance policy will be one of the smartest financial instruments they will ever own. If you are a young agent or advisor and are working with young people, you have a great future ahead of you. There are so many Millennials who will need help with their financial lives. Yes, they will do a lot of research online, but they will look for a professional to help them implement strategies to achieve their financial goals. Don’t be fooled into thinking that Millennials will do everything on line to avoid talking to people. As I go into coffee shops, it is full of Millennials talking to people. When I go to a bar, it is full of Millennials talking to people. My point is this: Millennials still want relationships. The challenge will be how you initiate those relationships so you can have a cup of coffee or a beer with them. I will leave you with a question. Suppose a good friend of yours, someone you trust, approached you with a business opportunity. Your friend told you that with this opportunity you will have unlimited prospects, virtually no competition, great products, phenomenal compensation, and a generation of Millennials who will want to buy this product. Would you be interested in this business opportunity? Well this business opportunity exists if you choose to make the selling of income protection products part of your practice. The perfect storm is upon us; don’t let this opportunity pass you by. Chris Carlson, CLU,ChFC, is the Founder and Creator of The Disability Insurance Coach, a revolutionary approach to the training and coaching of disability insurance producers. Chris began his insurance career as a brokerage consultant with Provident Life and Accident in 1984 and over the years has been a District Manager, Branch Manager, National Sales Manager and owner of his own independent disability insurance marketing organization. In addition to his disability insurance experience, Chris has spent the last 12 years training and coaching salespeople in the financial services industry. As a member of the International Disability Insurance Society, Chris provides educational training to all new members. Chris can be reached at 206-419-7440 or chris@thedicoach.net. The year 2014 marked the 10-year anniversary of health savings accounts (HSAs). In the past couple of years, we have seen an explosion of growth in enrollment in HSAs and deposits in HSA accounts. There are about 17 million enrollees in HSA plans, according to most reports. At the same time, HSA literacy among enrollees is extremely low. • 91% of health plans offer enrollees access to information on health education. • 88% offer information about physicians’ hospital affiliations. • 75% provide access to health records online. • 57% provide physician-specific quality data. • 84% provide access to account balances. • 66% gave provider cost information. However, the availability of decision making tools that allow consumers make integrated, intelligent decisions remains remarkably low. Just do a search online for “HSA decision tools” or “HSA calculator.” You’ll find largely antiquated calculators that allow you to put in tax bracket, premium of current plan, and an anticipated HSA plan to get a basic cost difference. Stride Health (www.stridehealth.com), a new online broker, has created some new integration and recommendation tools that are a bit more interesting. Taking provider data, cost data and throwing in some algorithms a user can get back an estimate of annual cost (worst case – best case –and estimate by procedure) as tied to a plan choice (not necessarily HSA related). Stride is an online, individual brokerage, and the use case is limited to that market. But the experience is nice. It offers simple, integrated, and intelligent feedback, which is closer to how it should be in our day and age. But doing a comprehensive analysis and explaining it to a client is a lot of work. The typical HSA analysis begins with a benefit professional running insurance options in one tool or another. The information is provided in a spreadsheet. The cost difference, which may or may not take tax calculations into consideration, is displayed. Then a network or doctor impact report is done in a separate tool. Next, search for data, if available, to have a reasonable discussion with your client about the elusive cost of care to answer a question like this, “If I pay $35 now when I go to the doctor, how much will I pay if I move to this HSA?” Kaiser has an eight-page estimate of costs sheet. Nice! But how much time and business is this professional losing by having to search on multiple sites and build a library of spreadsheets to model various scenarios? It is time for new tools that integrate by pulling in data from various sources and allow for real time modeling. Jason T. Andrew, CEO is co-founder and CEO of Limelight Health with offices in Silicon Valley and Redding, they provide innovative cloud-based products to insurance agents. Previously he was the founder of Stone Meadow Benefits & Insurance Associates. Prior to founding SMB, Jason worked as the managing producer at Lawson-Hawks Insurance Associates. Jason has advised numerous Silicon Valley startups and works closely with the Silicon Valley business community. Currently, he serves on the Board of Napa Children’s Health Initiative and as an advisor to GoVoluntr, a startup that connects volunteers, non-profits and businesses. For more information, call 877-897-5005 or visit www.limelighthealth.com. Employers need to rethink their healthcare focus from just buying an insurance policy to having a managed, data driven healthcare strategy. As costs go up, employers shift the costs to employees or absorb the cost themselves. This strategy is used by many employers and promoted by most benefit agents and brokers as a way to give employers a financial number they can live with. It’s financially painful for both employer and employee, but easy to implement and embraced by many human resources professionals. But as premiums go up more and more, cost is shifted to employees through higher premium contributions and higher deductibles and co-pays when they use medical services. Another issue is that employers monitor discounts (price), but not utilization. This is like monitoring how much natural gas costs to heat your house, but not how much natural gas you use. By spending a little more on insulation, you can save a lot on natural gas. Likewise, by spending a little on prevention, you could save a lot on healthcare. Employers receive claims data reports, which is helpful. But without a plan to affect an outcome it’s all just data. Unfortunately, healthcare is one of the few things in life we purchase without having a clue what it will cost, although that same quality health service can vary by hundreds and even thousands of dollars from one provider to another. Employers also tend to focus solely on large claims, which is akin to looking in a rear-view mirror. There is no effort or strategy to keep healthy employees healthy so they can avoid some of those large claims altogether. While employer-sponsored health fairs and wellness screens are nice events with plenty of good information, employers tell me that they get low participation and that these events do little to engage employees to change behavior. So, what is the solution? 1. Employers will be directly involved in helping manage the healthcare delivery system. They will educate their employees on where they can get high quality care at the best price and will reward employees that are good consumers. 2. Employers will closely monitor utilization patterns and cost of the 25% of the population driving 90% of the cost. They will use this information to steer care away from high cost emergency rooms to lower cost care options through education and plan design. 3. Employers will receive executive reports analyzing trends, demographics, actionable clinical information, chronic disease reports, and healthcare index factors, etc. This information will help employers provide benefits that are customized to provide better preventive care and lower cost. 4. Employers will focus on healthcare provider process improvement programs and know the value of specific providers. They will look for business partners who can be a resource to their employees to help them avoid health risk rather than wait for poor health and pay for it. 5. Employers will know the healthcare index of their population and focus on large claim prevention. Providing tools like health risk assessments and wellness coaches for employees to avoid health risk before it becomes disease puts up a strong defense against large claims. 6. Employers will implement chronic disease management programs, predictive analysis, nurse navigators, nurse practitioners and wellness coaches. 7. Employers will focus on managing the 80% to 90% of their health benefit costs which is claims rather than just the 10-20% that is administrative cost. 8. Employers will look to partner with advisors who can help them manage employee health and safety risk on and off the job instead of just selling them another insurance policy. 9. Employers who make effective positive changes to the way they manage their healthcare will be rewarded with healthier more productive employees and lower costs for them and their employees. Randy is a certified risk architect at Ottawa Kent in Jenison, MI. He designs, builds, and implements risk management and insurance plans for middle market companies in the areas of human resources, property/casualty & benefits. He has 35 years experience and has been at Ottawa Kent for 31 years. He is a lead instructor for the Institute of Benefit & Wellness Advisors, training agents how to bring risk management to benefits. Randy can be reached at rboss@ottawakent.com. Blue Shield: In order to ensure that our members consistently receive excellent customer service, we have a number of service level agreements in place as part of our relationships with Wells Fargo and Health Equity (e.g., performance agreements for average speed of telephone response). Kaiser Permanente: Kaiser Permanente does not offer service guarantees, but is committed to service excellence and has rigorous service level agreements in place for financial account and medical plan administration. The service level agreements cover a comprehensive scope of services including set up, call center metrics, payment timeliness and accuracy. Sterling: We offer a full money back guarantee of up to 12 months of paid monthly maintenance fees if our account holders are unhappy with our service for any reason. Sterling was the first HSA administrator to offer such a guarantee and made this commitment when the company was founded. UnitedHealthcare: Service guarantees will vary based on the scope of the relationship with the customer, but are typically available with respect to administrative service delivered under the plan. Blue Shield: As members may open their HSAs with the financial institution of their choice; depository guidelines will vary by financial institution. HSA Bank: We encourage account holders to contribute as much of their allowable maximum contribution each year to maximize their tax savings (Federal and state, where applicable). Kaiser Permanente: Kaiser Permanente does not require a minimum deposit. Sterling: We accept cash, checks, and electronic fund transfers through our website in a secure, password protected environment. We recommend an initial deposit of $100 and require a minimum balance of $20 to keep the account open and active. UnitedHealthcare: No, front-end employer deposits are required for the HRA or HSA. Blue Shield: Blue Shield is headquartered in San Francisco, Calif.
Cigna: Cigna is headquartered in Bloomfield, Conn.
HSA Bank: HSA Bank is a division of Webster Bank, N.A. headquartered in Waterbury, Conn. HSA Bank is based in Wisconsin. Kaiser Permanente: Kaiser Permanente Foundation Health Plan is headquartered in Oakland, Calif.
Sterling: We are a California-owned company and are headquartered in Oakland, Calif. We serve clients nationwide with personal sales representatives and account managers covering all states, including Hawaii. Blue Shield: Brokers can call their Blue Shield sales representative or call Blue Shield Producer Services at 800-559-5905 or visit Producer Connection at www.blueshieldca.com. Kaiser Permanente: For questions or information about Kaiser Permanente, brokers can refer to brokernet.kp.org or contact our Client Services Unit at (866)752-4737 (8 a.m. to 5 p.m. PST). Sterling: Brokers can contact any of our sales representatives. Their names, email addresses, phone numbers and territories are available at www.sterlingadministration.com on the Contact Us page. Brokers can also email broker.support@sterlingadministration.com or customer.service@sterlingadministration.com. Our phone number is 800-617-4729 and we’re available Monday – Friday from 8 am – 6 pm Pacific. Personal service and account support is a hallmark of Sterling Administration. UnitedHealthcare: For more information, visit www.uhc.com. 20. Which market segment (small/ mid/large) do you anticipate these plans will best accommodate? Aetna: All segments. Aetna: Brokers and general agents, consultants, Aetna sales force. Blue Shield: HSA-eligible plans continue to generate interest from all market segments, including individual and group markets. Therefore, Blue Shield members enrolled in HSA-eligible plans span all lines of business, from the individual and small group markets to large employers. HSA Bank: HSAs are a great way to save on healthcare costs for employers of all sizes. Kaiser Permanente: Our HSA-qualified deductible plans are gaining popularity in all market segments, including individual and family, small, mid and large group. Sterling: HDHP/HSAs accommodate all market segments and we serve them all today. Kaiser Permanente: While all channels have been successful, the broker channel continues to be extremely effective for promoting these products as the marketplace shifts toward HSA-qualified plans. Sterling: We are committed to the broker, agent and consultant channel. UnitedHealthcare: UnitedHealthcare’s HSA-qualified plans are sold primarily through brokers and consultants, or directly to individuals purchasing insurance policies on their own. 22.Which customer segments have been most receptive to HSAs? HSA Bank: HSA Bank’s internal research results indicate no statistically significant difference between HSA participants and non-HSA participants in regards to age, income, or overall health. Cigna: We have seen receptivity in all customer segments from the smaller group segment through large national accounts. Sterling: Customers who want to contain their healthcare costs and reduce increases continue moving to the HSA market. Areas with high PPO penetration move quickly as well. We believe this trend will continue due to rising health plan premium costs and taxes, as well as the advent of the Cadillac tax in 2018. UnitedHealthcare: All segments have been receptive to the HSA ­product. 23.How prone are brokers to support this with reduced commissions on the high deductible health plan side of the equation? HSA Bank: Brokers are very supportive in doing what is best for the company and employees. Sterling: Brokers who think this is the right thing to do for their clients place them in a HDHP/HSA. Many brokers use the HSA concept as a marketing advantage to grow their book of business and sell multiple lines of coverage. UnitedHealthcare: Brokers realize that the CDH plans are experiencing rapid adoption and they are doing their best to offer their customers the product that is right for them. 24.Will high-deductible health plans actually reduce utilization? Cigna: During the past several years, Cigna has compiled empirical data on literally millions of individuals enrolled in our CDHP, HMO and PPO plans based on claims experience that demonstrates that our consumerism products (HRA and HSA), offered as part of a comprehensive package of communication, member education and access to reliable and actionable information, substantially reduce the overall employer medical trend. Moreover, Cigna’s multi-year experience studies of CDHP plans provide evidence demonstrating that our consumer driven health plans both improve costs and health care quality. HSA Bank: Our data supports evidence of lower claims, which makes sense because consumers shop differently with their own money. They adopt the usual consumer behaviors. They shop on quality and price and even start to adopt healthier behaviors. However, there is a distinction between HDHPs when paired with an HSA vs. HRA. HRAs do not lower claims because the employer, not the employee, owns the money. Without owning the money, there is a use it-or-lose-it mentality, just like with FSAs. In fact, claims for unnecessary visits and procedures can go up, not down, just to use-up the money available. In other words, the wide adoption of HRAs with HDHPs has unfortunately voided the HDHPs intended low-utilization premise and actuaries are now pricing HDHPs higher relative to traditional plans to the point that the savings spread has almost disappeared. Kaiser Permanente: We regularly evaluate the impact on utilization. Based on some small samples assessed, we have seen some reduction in utilization with our members enrolled in HSA-qualified health plans. The lower risk factor behind this population segment may be a contributing factor. Additionally, there are also some small studies that indicate a change in behavior from these members as they become more financially engaged and responsible for their health expenses. Preliminary information shows that some members have pursued alternative options such as emailing their physicians. Kaiser Permanente encourages all members to receive preventive care services and to take advantage of our wellness and health education programs. Sterling: Our experience suggests that our clients are carefully evaluating cost/treatment alternatives, thereby reducing unnecessary medical utilization. Trends on a national level are below that of traditional health plans. 25.How can vendors make HSAs more effective and attractive for brokers? Blue Shield: Blue Shield has relationships with HSA custodians to promote HSAs and offer consumer education to brokers and employer groups. For example, vendors can demonstrate for employers how moving from a traditional PPO or HMO product to an HSA-eligible HDHP offers more affordability, which also allows for greater employee coverage. Our website provides extensive information on this topic: http://www.healthequity.com/BSCemployeeEd. Cigna: By providing information to help brokers understand the consumer advantages of the HSA product, providing products and processes that are easily understood by employers and supporting the customer education at enrollment and on an ongoing basis. HSA Bank: From doing enrollments to answering difficult questions, brokers can count on outstanding customer service dedicated to them and their clients. We provide quality service. Kaiser Permanente: Vendors can make HSAs more effective and attractive by keeping the sales process simple, supporting communications and education, supporting installations, and bringing effective online tools to the employer and members. By creating an integrated HSA pairing that includes our integrated delivery model, we can offer an effective, attractive, and competitive solution for our brokers. Sterling: We support the broker channel with sales representatives who handle their needs personally. We also offer HSA training and education, including CE classes and webinars, analysis tools, PowerPoint presentations, and other sales material. In addition, we support the broker’s employer clients in a similar fashion. This helps our broker partners better satisfy their clients’ needs. We also consistently update clients on regulatory changes, important new service benefits, etc. through targeted email campaigns, our blog, Facebook, Twitter and LinkedIn. UnitedHealthcare: Make quoting, set up, and enrollment as simple as possible for the broker. Provide as much broker training as possible. Provide simple communication materials for HR staff and the enrollees. Leverage the experience and materials of your health plan partner, who can offer communications materials and other tools to provide assistance. 26.Will consumers purchase plans for their traditional health plan features and view the HSA account as a perk to cover short-term medical expenses or will the primary purchase decision focus more on long-term financial planning to cover immediate and long term medical expenses and to reduce tax liability? HSA Bank: That’s the beauty of an HSA—its flexibility. If a consumer needs to cover qualified medical expenses, they can do so tax-free with their HSA funds. The consumer also has the option to grow their funds through self-directed investment options with no minimum balance. Kaiser Permanente: Consumers purchase Kaiser Permanente HSA-qualified deductible plans and open HSAs to cover both immediate and long term medical expenses, as well as to reduce tax liability and achieve long-term savings goals. Sterling: The latter appears to be the case. This is truly a new way to finance the costs related to healthcare. In today’s economic climate, the HSA is a great way to budget for medical, dental and vision expenses as well. UnitedHealthcare: Optum Bank’s analysis of saving vs. spending patterns of HSA consumers reveals diverse trends in spending vs. saving behavior on the HSA account. Data from Optum Bank released in September 2013, shows HSA account holders typically can be categorized into one of three basic patterns of account usage: spenders, savers and investors. Around 45% of Optum Bank’s 1,100,000 account holders are spenders (typically spend more than 50% of their annual contributions). A sizable 16% of the population saves 100% of their HSA funds while the remaining 39% spend 1% to 50%. In addition, there is a growing population that is seeking mutual fund investing, as a way to help save for future medical needs. An average Optum Bank HSA account holder carries over $2,100 in their account. Investors tend to have significant higher balances, averaging over $11,000 in their investment portfolio. Blue Shield: We are reviewing the HMO/HSA market trends and will be introducing new HDHPs that answer the market’s needs. Kaiser Permanente: Absolutely. Since 2005, Kaiser Permanente HSA-qualified deductible plans have appealed to all market segments, including individual and family, small, mid and large groups. Sterling: Several carriers already offer an HMO/HDHP plan or EPO/HDHP plan design. Sterling administers the HSA account component of these plans. UnitedHealthcare: Yes, as long as the plan is a qualified HDHP. 28.Which geographic areas and consumer demographics are brokers seeing a demand for competitive individual and family plan HSAs? Sterling: We know that the early Baby Boomer is very interested in choosing a HDHP/HSA product. Areas with high PPO concentration and lower pricing are high sales areas. The individual market has been a PPO market for some time and was the first to migrate to the HSA. Some individuals already have a HDHP and now have a tax-advantaged way to pay for medical expenses or save for retirement. We also see strong interest in certain geographic areas where Sterling has expanded, including key markets in the Southwest. We serve clients nationwide. What problems, if any, have you encountered with HSA eligible plans? Cigna: We have not encountered problems with the administration of the HSA eligible plans. One of the challenges of introducing these plans is to educate the customer on the value of the plan and the tools to become actively engaged in the management and maintenance of their own health care. Kaiser Permanente: Excellent communication among brokers, employers, the health plan and employees is key to ensuring successful implementation and administration of HSA eligible plans. Kaiser Permanente provides extensive support to all constituencies to avoid potential issues. For our brokers and employers, we offer educational materials, marketing collateral, and training on HSA-qualified plans to ensure understanding of options and a smooth onboarding and implementation. For employees, we provide education on how deductible plans and the HSA work together, and also phone outreach pre- and post-appointment to support awareness and education of the cost of services, point of care health plan and HSA educational materials, member financial assistance, and online tools and information that can be accessed any time. Sterling: Pricing is imperative in an HSA plan. If the rates are not competitive, then the HDHP plan does not sell well. UnitedHealthcare: No problems, but it is important to educate consumer on how to take financial responsibility when receiving health services. Most consumers are used to dealing with a health insurance company or their bank. The HSA product is more than the sum of its parts; it involves educating the members and encouraging them to ask financial questions when seeking and receiving health services. Blue Shield: Blue Shield’s significant growth in the account-based health plan market—especially with full PPO plans with built in health savings accounts—is aligned with industry trend reports demonstrating clear shifts nationally among large and mid-size employers in favor of these health plans. Since Blue Shield’s ABHP plans are offered through a fully integrated platform, this gives the company an edge over some carriers. Customers (both employers and employees) favor full-integration because it promises a superior user experience. But full-integration also demands a technologically-advanced model strategically linking the systems and resources of Blue Shield and its ABHB financial trustee, HealthEquity. This model delivers enhanced claims processing capabilities along with continuously-improving member portal customization and features. Blue Shield has provided the leadership and resources necessary to ensure its edge is maintained in this increasingly important, value-driven customer option. Cigna: We continue to enhance our online and mobile app cost and quality comparison tools, to help people make informed choices about where they seek care. HSA Bank: While our HSA hasn’t changed from last year, we are always looking for ways to enhance our product to best serve our account holders. We have added online bill pay, myHealth Portfolio – a suite of tools to help members track their expenses and pay for qualified medical expenses. We have also added a mobile application for busy members to manage their account on the go. Kaiser Permanente: Kaiser Permanente is the only health care account based plan solution that offers a single end-to-end user experience, provides innovative auto-substantiation technologies, and automates work flow for brokers, employers, and account holders. The system is managed on one technology platform and integrated web portals. Sterling: We continue to invest in our HSA offering with mobile applications and website functionality to enhance the client experience. We offer discounted set-up fees for groups adopting multiple products from Sterling (HSA with HRA, HSA with FSA, COBRA). We do not charge set up fees for HSA rollover business. We continue to offer two HSA plans – Standard and Value. Finally, we have been complimented for our outreach to the Latino community with our website, collateral and customer service representatives. In the next decade, enrollment in health insurance marketplaces — public, private or some hybrid—is expected to grow significantly, according to Price Waterhouse Cooper’s 2014 survey of 1,200 employers. The following are highlights of the report. The Affordable Care Act’s (ACA) new public exchanges have increased awareness of the exchange concept and raised the prospect of a shift in health insurance purchasing. While the ACA’s public marketplaces are expected to see rapid early growth, the shift to retail-style private exchanges will be more of a steady trickle. Thirty-two percent of employers are considering moving active employees to a private exchange in the next three years. As more consumers take control of their healthcare spending, new opportunities can arise for health advisors—much like the role of financial advisors for retirement planning. Private exchanges are already starting to support consumer decision-making, and new opportunities will arise for non-traditional healthcare companies with data and customer expertise. Many private exchanges may also expand product offerings into life, home, and pet insurance. Some exchanges already offer ancillary products, and the demand will likely grow as the retail experience improves. The $267 billion U.S. health and wellness market is poised for growth as more companies enter the sector with new products and services. Retailers could use exchanges to provide personalized recommendations for non-regulated health products, such as nutrition and fitness items. Big-box retailers could eventually become strong competitors. Some employers will maintain the structure for active employees and move retirees to a private exchange. In fact, 43% of businesses are considering moving their pre-65 retirees to a private exchange with a subsidy in the next three years. Private exchanges can offer more affordable insurance to the more than 5.6 million small and mid-sized companies in the United States. Transitioning to a retail marketplace can also alleviate administrative tasks. Private exchanges typically offer consumer decision support, integrated wellness programs, and online benefit sites that would require too much time and money for employers to implement on their own. Private exchanges can also help employees find the health plans that meet their needs. With the right guidance, employees can find high deductible plans that are manageable and cost effective. Buying down to lesser coverage can save employers a lot by encouraging employees to comparison shop and use healthcare services more efficiently. A private exchange study by the Kaiser Family Foundation reveals that, in two out of three geographic areas, 60% of employees chose the lowest-cost plans, and 52% enrolled in a plan that would allow them to establish a health savings account. Many employers already have cost-control strategies with defined contribution and higher cost-sharing plans. Sixty seven percent of employers offer high-deductible health plans, and 47% offer plans compatible with health savings accounts that can receive employer and employee contributions. After going with a private exchange, Walgreens found that employees had a better shopping experience with more choices and the ability to tailor products to their employees’ needs. Also, the staff had reduced administrative duties. Tom Sondergeld, Senior director of Health and Well-Being for Walgreens, explained that a private exchange fit the bill because Walgreens has a mix of employees across geographic regions, which is important for stabilizing premiums. Second, having a staff with an average age in the mid-30s contributes to lower-than-average claims costs. Walgreens found it easier to educate employees on how to purchase through metal pricing tiers since the company already converted to a silver metal equivalent for its health plans. About 43% of the company’s employees stayed in a silver plan while about 29% bought less expensive plans. Companies with the most sophisticated benefit programs may not see as much value in a private exchange. Many employers have become skilled in benefit management: they can underwrite claims, administer health and wellness programs, and even contract directly with certain healthcare providers to create high performing, low-cost networks. Some employers are already keeping spending growth below average or close to zero. Safeway, with approximately 135,000 employees, has done this with its own self-insured health plan that supports over 40,000 members. Moving to a defined contribution model could put employers at risk for penalties if they fail to meet the ACA’s affordability guidelines, which require an employee’s share of premiums to be less than 9.5% of adjusted gross income. Private exchanges can also open self-insured employers to the risk of relying on a third party to control healthcare costs. “While many employers are interested in private exchanges, most are waiting to see how they evolve to manage healthcare costs,” said Brian Marcotte of the National Business Group on Health. Most employers rely on insurance companies to help control healthcare cost growth and manage risk. Engaging a private exchange can take the benefit selection process—and, in some instances, health and wellness management—out of the hands of the employer. • Conduct a thorough cost-benefit analysis. • Compare what an exchange -offers with what is or can be done effectively in-house. • Determine how a private exchange could affect employee retention as well as other indirect costs. Consider factors, such as employment region, market competitiveness, and employee demographics. • Recognize that you’re buying into a benefit delivery platform, not a product. With many exchanges still in development, pricing and features are not set and can vary widely. Employers may need to compare bids from several exchanges. Partner with exchanges to select plan designs, shape the user experience, and potentially design a defined contribution strategy. • Have a sophisticated communications strategy. While many exchanges have good educational materials, employers should create a plan for media and internal communications before announcing a change. Address employees’ concerns, and make sure corporate values align. Be prepared to answer tough questions. • Determine whether there’s value in creating a company-branded, single-carrier private exchange or partnering with others. Some of the large national insurers are already working with several private exchanges. As exchanges evolve, many want to integrate strong regional insurers to increase savings for employers. • Distinguish your brand. Insurers on the exchanges should find ways to compete outside of price, especially as new competitors enter the fray. Consider marketing to a broad, general audience and using employee outreach through on-site representatives and marketing materials to help stay top-of-mind for consumers when they select a plan. • Develop or enhance transparency and outreach tools for consumers. Consumers will need to understand how their coverage works as they choose lower-premium and higher cost-sharing plans. Tools can help manage member costs and expectations, such as expense tracking, provider price and quality shopping, medication and screening reminders, and interactive tools to track and improve health. Consider acquiring or partnering with companies that have already created these tools. • Explore direct contracting arrangements. In the future, private exchanges could facilitate direct contracting between providers and employers. Seek early opportunities to build out the market. • Prepare for growing pressure on price and transparency. Providers will face pressure to cut prices, boost quality, and transparency or risk being clipped from health plan networks. Providers, like insurers, will need to stand out among their peers. • Expect tighter formularies. Insurers are lowering costs by adding formulary tiers, prior authorization, and step therapy requirements in addition to striking some drugs altogether. Increased cost-sharing can drive consumers to seek less expensive alternatives. Providing data to demonstrate a drug’s effectiveness and value will be important as consumers become savvier. Two essential factors will determine success of private exchanges: whether employers see sustainable cost savings and whether exchanges enhance the customer experience. As retail becomes a prevalent model for purchasing insurance, the health sector will need to evolve as well. -Insurers, providers, and pharmaceutical companies will face pressure to lower prices, improve patient outcomes and provide more transparent data. To get the report, visit www.pwc.com/us. 1. The broker/consultant model: This model, which is growing quickly, typically offers fixed products and integrated consulting services. These exchanges typically provide a fixed shopping storefront and are funded by fees from the employer, commissions from health insurers, or a combination of the two. 2. In the insurer-sponsored model: Health insurance companies run their own proprietary exchanges. These exchanges can be built on technology that is licensed from other companies. Some insurer-sponsored private exchanges participate in the small group and individual markets in select states, with plans to extend into more states and larger group markets. 3. The technology model: This model is considered to be the most flexible. It is geared to employers, states, insurers, and brokers/consultants. Employers that choose this route can purchase a full exchange or the technology components of benefit outsourcing. It provides cloud, software, and data analytics solutions to insurers, states, brokers/ consultants, and large employers looking for a custom exchange. 4. The pure-play model: This more mature model is known for its focus on consumer decision support and customer storefronts. Once rooted in the small group market, this model is now in the mid-to-large employer market as well. This model is known for decision support and technology as well as product offerings. 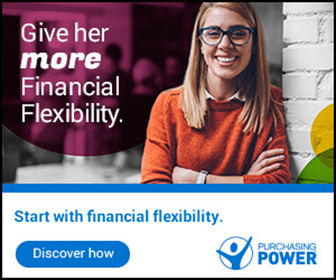 Some pure-play exchanges offer online financial tracking tools and ancillary products, such as life and disability insurance. With healthcare costs continuing to grow in a stagnant economy, it’s time for health insurance brokers to revisit self-insurance as a way to provide the employers value and great control over their plans. Traditionally considered a cost-control option for larger employers, self-insurance has become an appealing alternative for small- to mid-size companies as well. The key is to effectively communicate the advantages, explain how to avoid risks, and outline how to manage the transition from simply purchasing insurance to taking control of and shaping a benefits program around the needs of the employee population. With self-insurance, employers pay for individual employee health claims out of cash flow rather than as a monthly fixed premium to a health insurance carrier. Costs are based on actual plan member healthcare use, which makes self-insuring cost-efficient and more effective than commercial plans. Self-insurance is exempt from many of the federal healthcare law’s health insurance taxes, which will be onerous for the commercial plan market. As the majority of large businesses, labor unions, and governments self-insure, the new health insurance tax will result in smaller percentage increases in average health insurance premiums for large firms, and cause greater increases for small firms that rely on insured coverage, as well as non-group health insurance coverage. Furthermore, self-insured companies do not have to offer the government-mandated essential health benefit, which allows them to tailor benefits to the needs of a company and the demographics of its workers. In addition, the federal healthcare law does not subject self-insured health plans to the jurisdiction of the states while insurance-based plans must comply with the varying coverage mandates, insurance statutes and regulations of the 50 states. Also, self-insured plans continue to be exempted from state mandates and regulation by virtue of ERISA’s preemption of state action in connection with self-insured health and welfare benefit plans. For the most part, self-insured plans are not subject to litigation in state courts or the appeal and complaint procedures of the insurance departments of each of the states. Support for self-insurance has grown because it can be tailored to the needs of employers and offers transparency to ensure the plan is managed in an efficient and effective way. Equally important, self-insurance helps control healthcare costs, which can lead to higher wages for employees and more resources for employers to invest in job creation. The addition of stop-loss insurance provides a financial buffer for the self-insured employer if, for example, an employee is found to have cancer or needs an organ transplant. This added level of financial security is especially meaningful for smaller businesses. There are two types of stop-loss insurance: specific and aggregate. Specific stop-loss protects against a catastrophic loss incurred by any individual covered by the plan, with the deductible set at a level appropriate for the size and financial strength of the company. Under this form of stop-loss insurance, an employer pays a fixed premium each month and is liable for the claim payments of an individual up to a chosen deductible, with amounts in excess of that covered by the stop-loss carrier. Some specific stop-loss contracts don’t require the employer to fund the claim and wait for reimbursement; instead, the administrator pays the claim directly from the carrier’s account. Aggregate stop-loss protects against an excessive amount of claim expenditures for the entire plan. Through actuarial studies, stop-loss underwriters can estimate smaller, predictable claims; however, these projections are based on large, industry-wide samples and are therefore subject to variations and fluctuations. With either type of stop-loss insurance, it is important to remember that risk mitigation is most effective when coordinated by an experienced health plan management firm. With guidance from a healthcare services partner, health insurance brokers can develop marketing seminars to target prospects and demonstrate their ability to think outside of the box. • Negotiating, obtaining and renewing stop-loss placement. • Arranging managed care services, such as access to preferred provider networks, coverage for alternative treatment programs including acupuncture and chiropractic services, prescription drug card programs that offer cost-saving opportunities and utilization review. In particular, brokers should find a healthcare services company that offers secure data analytics for remote and real-time care while providing an inexpensive vehicle for coordinating online tools that identify at-risk members, their patterns and treatments for various ailments – from diabetes to heart conditions. Robust data analytics allow self-insured employers to evaluate employee information, including age, chronic illness, risk factors and gaps in care, and update medical conditions, compare previous costs to projected expenditures, and intervene with optimal prevention and wellness programs. Taking the advantages of self-insurance one step further, brokers can suggest that employers streamline access to care with customizable care plans based on an individual’s risk profile and needs. Targeting health issues, rather than simply implementing a general health and wellness program, is critical for long-term sustainability. By partnering with healthcare service companies and provider groups, employers can take advantage of deep discounts and give employees greater access to coordinated care. Within this model, healthcare data analytics plays an important role, providing information relevant to population health management, such as determining the chances of a relapse, the likelihood of noncompliance, and the progression of chronic disease. Some plans are designed exclusively around chronic disease and include educational materials, one-on-one counseling, transportation to a hospital or doctor’s office, and assistance in coordinating care among providers/physicians. Health claims and other medical data are used to identify members with chronic conditions and give them the tools and support they need to better manage their health. Self-insurance has emerged as a key strategy for employers to remain viable while generating health and wellness for employees. That’s no surprise, given its effectiveness, cost-efficiency, and advantages over commercial insurance plans in the wake of healthcare reform. Having the ability to continue offering an attractive health benefit option is critical for attracting and retaining top talent. What’s more, self-insured employers pay for individual employee health claims out of cash flow rather than as a monthly fixed premium to a health insurance carrier. While employers assume the direct risk for payment of claims, costs are based on actual plan member healthcare use, and catastrophic claims are covered by stop-loss coverage. This makes self-insuring cost-efficient and more effective than the increasingly expensive, cookie cutter design of commercial plans. Many consumers shy away from purchasing or modifying a life insurance policy due to high premiums and a glut of red tape. However, over recent years and even months, the life insurance industry has made great strides and is now more consumer-oriented than ever before. Common barriers and challenges that once blocked shoppers from securing great coverage with ease and at affordable prices are a thing of the past. Indeed, amid a handful of game-changing industry innovations, the time to consider life insurance coverage is now. Here’s why. Medical exams have always been a major pain point in the life insurance process. Increasingly, companies are offering policies for lower benefit amounts (like $400,000 and under) without the need for a medical exam. However, insurance companies do check pharmacy records to see all medications prescribed in the past five years. While underwriting times for these policies average about three weeks, some companies do offer coverage in just 24 to 48 hours and you can even find instant issue term life insurance. Cautionary note: With new “no medical exam” processes leading to quicker issue policy options, be careful to research an insurance company before submitting an application, even when the process is entirely online. When an insurance company declines an applicant, that status is stored in the Medical Information Bureau (MIB) database, which is a service that gives all of the major insurance companies access to shared data. The MIB services alert underwriters to errors, omissions, or misrepresentations made on insurance applications in an effort to mitigate their risk exposure and, in doing so, allow them to pass cost-savings to consumers. This declined status will tarnish your client’s record and can make it difficult for them to secure insurance from another provider. Today’s life insurance rates are down as much as 70% from their highs in the mid 1990s. This is largely due to the Internet, which has fostered aggressive competition among insurance companies. New technologies have made it possible for companies to cut administrative costs, and those savings are passed on to the marketplace. If your client has an older life insurance policy, there’s a good chance that they can get a better deal on an updated policy. As with refinancing a home mortgage to take advantage of better rates, it’s a good idea to revisit the current policy to see what’s available in terms of lower costs and higher benefits. While consumers can get insurance quotes online, many of the rate comparisons on the Internet will just quote based on the lowest premiums for the healthiest of applicants. One attractive rate may be advertised but, after the underwriting and health questionnaire process, many individuals find they actually qualify for more expensive policy rates. In addition, many rate comparisons found online require the customer to enter in their name, phone, and email address to run a quote. This can be problematic for consumers since this personal information is often sold to agents as leads, which can result in the consumer receiving sales calls from up to eight agents that bought the lead. Unfortunately, these calls can continue for years, and email can be spammed for years. Companies that sell your information as such are required by law to disclose that they will use automated dialers or provide your information to third parties. Don’t make the mistake of thinking that once your client is past a certain age, they can no longer get affordable life insurance. Regulators have revised life-expectancy projections — known as mortality tables — for the first time since 1980. A man who is 40 years old today can expect to live to be 78, not 73, as was the expectation 25 years ago. Because of this, an 80-year-old male can get a 10-year term policy and an 85-year-old can still get a fully underwritten whole life policy. As we get older we experience more medical issues. Anyone who is over 50 or has known medical issues is best off contacting an experienced agent to handle their life insurance needs, as this agent will contact underwriters of multiple insurance companies to discuss the nuances of their application before applying in order to avoid the client being declined or adversely rated in the MIB. This agent-driven process also -allows for insurance companies to compete to provide the best rate. More inexperienced agents can submit an application without reviewing multiple options and/or are captive and can only sell/submit to one specific insurance company. An independent agent or brokerage is best to ensure flexibility and customized service. New living benefit riders enable your client to use their life insurance policies while they are alive. For example, the accelerated death benefit rider allows your client to use up to 75% of the coverage amount if they have a terminal illness. The chronic illness rider allows your client to use up to 90% of the policy’s death benefit if they are unable to perform two of the six daily living requirements of bathing, continence, dressing, eating, toileting, and transferring. This is very similar to a long term care policy. Companies leading the way for living benefits riders are Transamerica and Protective Life Insurance. There is also a critical illness rider, which allows your client to use up to 90% of the death benefit of their policy if they suffered a critical health condition such as cancer, heart attack, stroke, a major organ transplant, end stage renal failure, ALS, blindness, or paralysis of two or more limbs. Life insurance companies realize that people are living longer. This is good news for everyone. No longer are great benefits only for the young or for those willing to pay high premiums and jump through multiple hoops. The insurance industry has listened and has responded to the needs of the consumer in order to streamline the application process and deliver benefits that make sense. Now not only can your client get life insurance at any age, but they can also enjoy those benefits during your lifetime. It doesn’t get much better than that. While some of these new benefits are wonderful, they are still very new. State regulators are still reviewing some of these benefits and some of them may even be required for free in some states, like California. For example, waiver-of-premiums due to disability has been under scrutiny in various regions. So, it’s important to capitalize on these benefits while they are in play. Gaining access to insurance benefits while the insured is living stops unscrupulous businesses from buying insurance policies from sick people for pennies on the dollar. Using life insurance to fund long-term care is a great idea for some, though an estate planner can advise regarding the best solution based on personalized needs. Accelerated death benefits, chronic illness riders, and critical illness riders are outstanding considerations and should be discussed. Traditionally, to buy life insurance, a consumer had to have an in-person meeting with an insurance agent. In fact, most insurance companies required their agents to be present in order to witness the application. This practice has gone the way of the dinosaur. Fifty percent of consumers prefer buying life insurance without a face-to-face meeting, according to a 2013 study by LIMRA and The Life Foundation. The industry apparently heard this collective marketplace voice and, today, there is no need to meet with the insurance agent in person. Applications can filled out over the phone or on the Internet, the entire process is quicker and easier than ever. To that end, insurance carriers are offering express or rapid applications that include time-saving features, such as digital applications, the acceptance of digital and voice signatures, and the ability to scan or fax the applications, thus avoiding snail mail altogether. In addition to making the application process simpler and faster, insurance companies are making it easier and more convenient for consumers to comparison shop and find the policy that best fits their budget. You can research all the insurance carrier’s rates online; some brokers even allow consumers to run rate comparisons online without requiring them to enter their contact information as part of the process. This model is a bona fide hit, with 80% of the marketplace now researching and running rate comparisons online before purchasing a policy. While new insurance policy shifts are positive for consumers and allow them to make more informed decisions and offer more convenience, be mindful of potential security and identity theft issues. First, ensure you are dealing with an A-rated insurance carrier, which you can easily confirm by utilizing online resources like www.ambest.com. This online resource allows consumers to search any insurance company’s financial ratings. Because insurance applications contain social security numbers and much other personal information, don’t send your application to more than one person and, before hitting “send,” confirm the recipient’s email address is correct. Second, because you have an application in digital format, be sure your own computer or device is secure, which may require firewall, virus and malware cleaning software. For those who put off getting life insurance because of the medical exams, paperwork, price, or pushy salesmen, the good news is that modern industry enhancements have largely alleviated those concerns. But, keep in mind that just a few minutes of due diligence can make a huge difference in the outcome of the life insurance endeavor. Brian Greenberg is founder and executive of multiple online businesses, including serving as president of True Blue Life Insurance. He can be reached online at www.TrueBlueLifeInsurance.com.